When framing your favorite piece of artwork, many questions come to mind. The decision as to which type of glazing you use should not be difficult. Remember, there is no definitive “right” type of glazing; each situation and individual preferences should be considered. Here are some tidbits to help guide you. CONSERVATION VS. STANDARD GLAZING – All the glass and acrylic finishes below are available in both a conservation grade and a non conservation grade. Conservation UV Glazing: This highly recommended option offers Conservation Grade protection against 99% of indoor and outdoor UV light rays. This helps to protect your art from the damaging and fading effects of UV light. Standard Glazing: A good choice when conservation grade UV protection is not a concern. GLASS OPTIONS – Glass has been around for as long as we can remember and has proven itself worthy of protecting your artwork, but it does come with some cons. It can be heavy and easy to break. While moving artwork framed in glass, you must be extremely cautious as the glass can shatter and damage your piece. Anti-Reflection/Museum Glass: Glass made with an optical coating that virtually eliminates reflection and significantly increases clarity. Less than 1% light reflection. This glass represents the best in optical clarity and reduced reflection. Premium Clear Glass: Flat, clear glass with a nearly perfect optical surface representing the highest quality regular framing glass. 8% light reflection. Non-Glare or Reflection Control Glass: Reduced reflection glass. Glass which has been chemically etched and roughened. This roughening process scatters the light reflected directly back at the viewer, thus reducing the “mirror” effect of glass. Due to the etched surface, this is not as clear as other glazing options, and often produces a blurry effect. 8% scattered light reflection. ACRYLIC OPTIONS – Acrylic is an alternative to glass that is lighter and harder to break, though it is softer and more easily scratched (excluding anti-reflection acrylic). Anti-Reflection/Museum Acrylic: This state-of-the-art acrylic product is optically coated, creating a nearly invisible surface providing the highest level of reduced reflection available in an acrylic product. Like most acrylic products, this is half the weight of glass and is shatter-resistant. However, unlike typical acrylic sheets, anti-reflection acrylic performs like glass with its anti-static and abrasion resistant features. Less than 1.6% light reflection. Clear Acrylic: Noted for its light weight, high optical clarity and resistance to shattering. Can carry a static charge. Not suggested for pastels or charcoal drawings. 8% light reflection. Non-Glare Acrylic: This acrylic product has a matte-like finish that scatters light to reduce unwanted glare. Noted for its light weight and resistance to shattering. 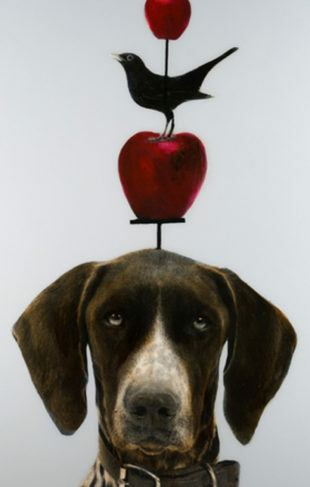 The matte-like finish tends to blur artwork even more than non-glare glass, therefore is only recommended for specific artwork in unique lighting situations. 8% scattered light reflection. Now the next time you are in the gallery deciding how to frame your special piece, you will be more knowledgeable about which glazing best suits your needs. 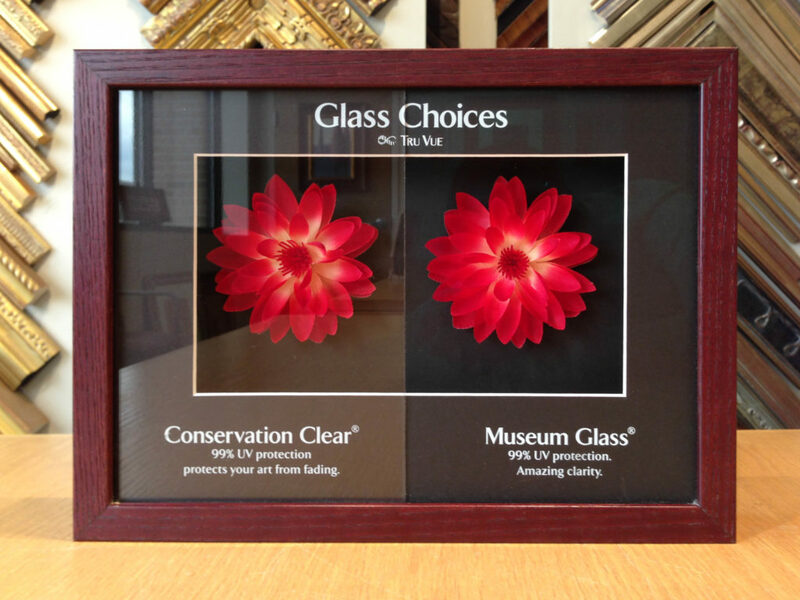 You can spend less time debating the glass options and more time picking out the perfect frame for your artwork!